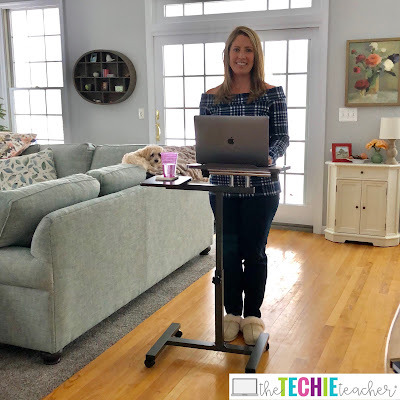 Affordable Standing Desk for Your Home or Classroom | The Techie Teacher® . Are you like me and work behind a computer for hours at a time? When I create my teaching resources at home, I SIT at my desk and always feel like a big blob. My trustworthy 2012 Macbook Pro took its last breath and I found myself at the Apple Store purchasing a new laptop 10 DAYS BEFORE CHRISTMAS. Needlessly to say, my treadmill desk fund was quickly depleted. January 1st I set out for a more affordable option, a standing desk. I posted this image on my Instagram and Facebook accounts and have received a ton of messages asking all about it. That is what prompted me to write this post because it seems that there are many people, just like me, who need a better option for their time spent behind their desk. It is so nice to be able to sway, dance👯, and do some squats💪 every few minutes. LIFE CHANGING. 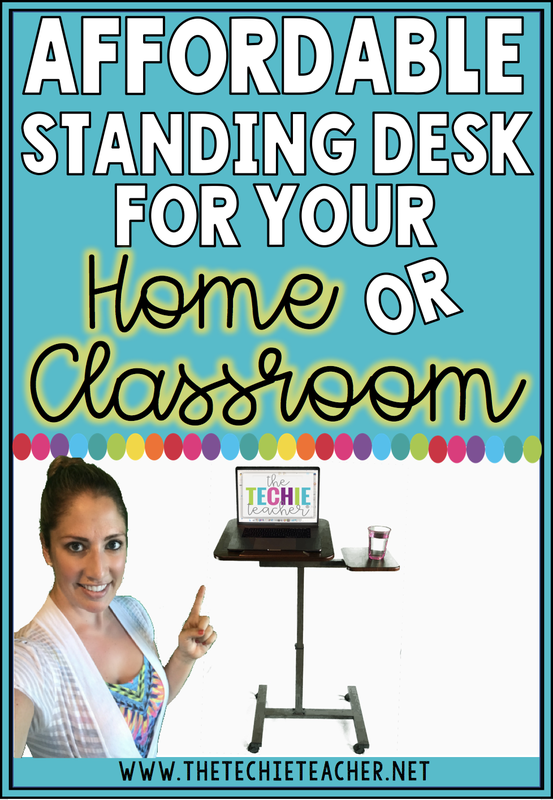 This affordable standing desk would even be a great option for the classroom! Teachers and students could benefit from working at one throughout the day. Since this standing desk is on wheels, you could easily transport it from room to room. 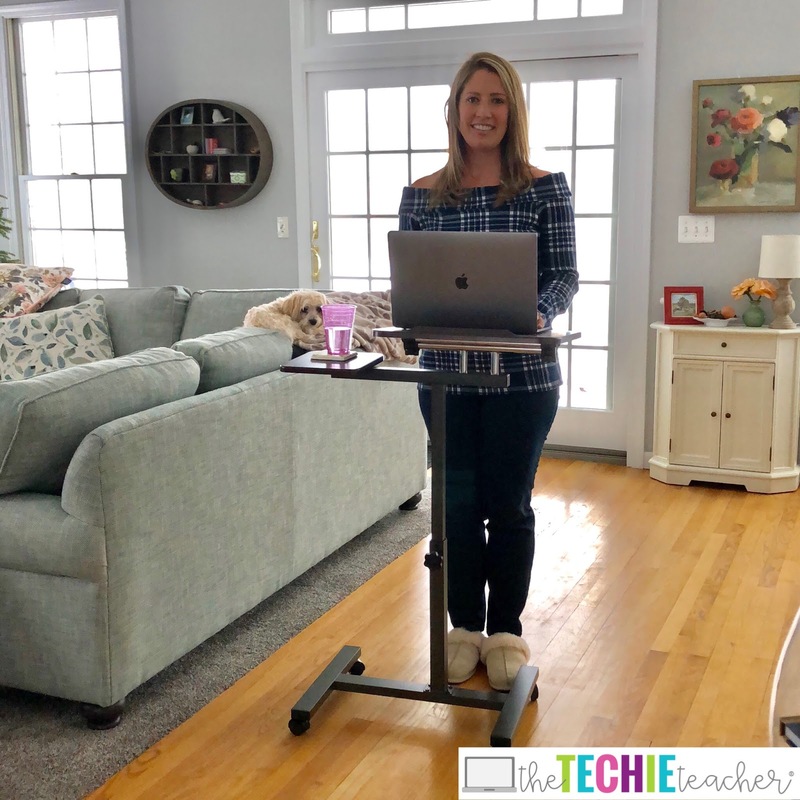 Schools could even provide a check out system in which teachers could check out several standing desks at a time when students are working on projects, papers, or other assignments. What kind of desk are you working behind? Just wondering if you have the link for the stand up desk on Amazon..I can't seem to find it.